What does it mean that anyone can now easily create 3-D photos and video, or even print objects in three dimensions? The birth of cheap production technology — film, music, websites, ad crowdsourcing — will probably lead to a “Warshaw Curve,” in my opinion: the idea by video producer Douglas Warshaw that a rise in the supply of any production technology typically creates an inverted, U-shaped bell curve of quality output. Draw a wide “U,” and on the left side write “bad stuff” and on the right write “good stuff,” and you’ll see the logic. In video, we have moved this way with grainy YouTube videos on one extreme and super-HD movie files on the other. In newsprint, we are seeing this with the surviving publishers being lousy local community papers or the high-quality New York Times. Knowledge is flowing this way with new communication networks enabling rapid scientific advance on one end and endless bloggers regurgitating “how to get social media ROI” on the other. Everyone in the middle gets killed when barriers to production or access fall. You have to either focus on more utility with low quality at mass scale (YouTube, IZEA advertising) or quality with artificial scarcity (“Titanic” now in 3-D, million-dollar spots on the Super Bowl). 3-D printing will create this same curve. My kids would love to build cheap Lego sets at home and I might toy with modeling. But, for many years, the output will be prolific and bad. If I want a good pair of running shoes, a mountain bike that won’t break down, a classical guitar, or a watch that flashes status, I won’t print it in the basement but will end up at specialty stores or the mall. The inverted “U” of quality seems a normal distribution pattern in any network of production. As Len Kendall noted in the past (fall 2009 I recall, that’s right, buddy, I’m learning from you), most social media sentiment is neutral, with only a small percent of people loving or hating a brand. Even in our production of feelings, the majority is blah, with highest response in the extremes of poor or great. Material manufacture will follow the same curve of emotion, video, print, and knowledge, and it is a mistake to assume the peak on the high-quality end will disappear if low-quality output surges. The real question, of course, is how Kate Winslet will feel having her now-younger self in love scenes projected on the big screen in 3-D.
Revised from my recent comment at Len Kendall and Gunther Sonnenfeld’s brilliant blog. Also posted at G+. Yak about community all you want, most marketers still target people with one-way communications, and the bull’s-eye in that target is called a customer demo. Demographics are vital, you see, because humans have vastly different interests … yet commonalities among age, income, home location, and psychographic affinities abound. Look across the street at the neighbor and you’ll find he or she probably dresses similarly to you, has similar appliances in the house, about the same size TV, may go out to your favorite restaurant. By identifying target descriptions, marketers are more likely to achieve higher response. Yet … targets can overlap, and some advertisers rarely consider this. Is it possible to hit a double demo? Hollywood is hip to this. We’ve seen several examples recently of sharp marketers reaching out to more than one audience. The film “Knight and Day,” with Tom Cruise and Cameron Diaz, offers spies, romance, and cartoon action — something for mom, dad and the kids. The rush of Pixar animated films, with double entendres for grownups interspersed with digital graphics for tots, hits more than one button. “Transformers,” “G.I. 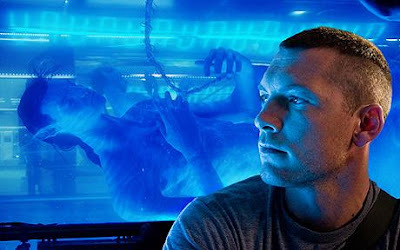 Joe,” and of course the multi-billion-dollar-hit “Avatar” — the first film to top $2 billion in revenue — all appealed across demographic clusters. The film industry knows the only way to make it big is to hit more than one type of consumer. You could suspect the rehabilitation of Tom Cruise, post Oprah-couch-jumping Scientology-interviewing (we’re not judging, people, all religions deserve respect but oh people tuned out) required a severe multi-demo-pronged approach. And hey, we saw the movie with a 10-year-old, and yes, it rocked. It’s not easy to hit more than one target with a single arrow, of course. Such marksmanship requires a product with multifaceted appeal, marketing that offers nuances to reach more than one demo type, and media buys that touch different genders, ages, and mindfulness of consumers in different channels. Orchestrating all of this may require Steve Jobsian manic control. A few weeks ago we were privileged to speak at the DMA Echo Award judges panel, thanks to an invite from the uberpodcaster Bob Knorpp, who hates Tom Cruise, and met up with one of the principals of The Martin Agency, the fast-track group responsible for the brilliant cavemen and eyeball-dollars for Geico. After we asked the obvious question — “Does that lizard thing have a British or Aussie accent?” — we then dug in on the media plan. Geico, you see, is running several creative campaigns at once. “Of course we try to reach more than one demographic,” the Martin bloke told us, “because insurance has broad appeal, and we have to reach different consumers at different stages in their lives.” (We paraphrase wildly, but chill, this is just a damn blog.) So Geico launches several major creative prongs, tests individual creative elements in small markets, measures lift in response and awareness, and rolls forward like a giant board game. Geico, and its Martin gurus, have learned it is possible to target more than one type of human. Footnote: The man from Martin wouldn’t divulge the real lizard accent. But that’s OK, Wikipedia tells us there are an estimated 2,000 different species of geckos worldwide. Maybe, those clever lads at Martin are targeting more than one accent at once. Wow. We’ve heard of hype machines, but buzz is so strong over the new James Cameron “Avatar” film that Pali Capital analyst Rich Greenfield upgraded NewsCorp stock from “sell” to “neutral.” If you can get past the use of “game changer” in the clip, Greenfield’s enthusiasm does make you wonder if 3-D is finally here. Sigourney Weaver has been quoted as saying “Avatar” may have the impact on 2-D film that “Wizard of Oz” did on black and white. Sure, she’s an actress promoting her flick, but if live-action 3-D brings crowds back to big screens, Sigourney may be right. Next up, 3-D in your bedroom. The question is whether 3-D will be a sustainable competitive advantage for movie theaters, which have been nervously watching the rise of large flat-panels in consumers’ basements. Television manufacturers are racing to build 3-D sets that work in your home — JVC, Mitsubishi, Panasonic and Sony all have three-dimensional toys on deck. Like flat panels, if the sets really work, a groundswell of consumers will rush to buy in. Still, some analysts say the home 3-D technology is nowhere near the clarity of the big screen — Shane Sturgeon, publisher of HDTV Magazine, said the home stuff gave him a headache. Programming has to catch up, and the gigantic swaths of bandwidth required for 3-D data transmission all put the home adoption curve off a few years. For now: Sigourney, here we come. David Hubert visited London and forgot his video camera, so instead took more than 3,000 still photographs and knit them together into this montage. The effect is to recast our vision — people in the Tube, cars on the streets — a bit differently, as if time had both stopped and sped up concurrently. It all reminds us of business trend lines and how few stop to watch them. You know: The things in retrospect we should have seen coming. The mortgage meltdown killing real estate investment. The rise of video games (up 36% in first half of 2008) threatening the film industry. DVRs (now in 28% of U.S. homes) putting the pause on ads that fund commercial television. Diminishing results in newsprint (heck, even the Wall Street Journal bragged about it). So many marketers get hooked on what worked yesterday and measure this quarter’s results against a standing-still-in-time yardstick … unaware that bigger changes are afoot. What’s your plan for watching the tide? We’ve been critical about internet widgets, or mini-apps, which promise advertisers the chance to go viral with their marketing message but often fail to do so. 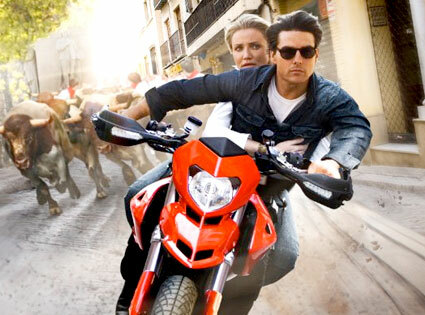 Paramount, however, has found the sweet spot with its new VooZoo app on Facebook. VooZoo allows users to grab small snippets of famous films (from the Paramount library) and forward them to friends — potentially a blockbuster application in that you can tell your boss to show me the money! The Paramount widget ties three things together beautifully: (1) the user need to interact socially, (2) the application itself is the message, and (3) the message is tied closely to the sales channel. A little button at the tail end of each film clip allows you to order DVDs from Paramount. Any time you message someone with a clip from a film, you are forwarding an undeniable ad for that same film. The application was developed by FanRocket, an agency specializing in viral marketing within social media. By making the sales message equal the user’s social message, FanRocket got this viral app right. We also note the bravery Paramount shows by giving away clips from its films — a good lesson for any marketer in the social media age. If you want to make it big, you have to give up some control. It’s hard to believe now but back in 1976 when Rocky came out U.S. moviegoers had never seen film shot with a steadicam. Sylvester Stallone ran up a series of long museum steps in Philadelphia and next to him, behind the lens, the cameraman ran right with him, circling Rocky at the top, swinging the camera fluidly, and audiences gasped. How did they do that? More recently, filmmakers such as Brian De Palma show off with incredibly long tracking shots, like the 13-minute-2-second opening to Snake Eyes. These flourishes are the film equivalent of an Irish coffee — at first, you don’t notice, and then gradually you smile and get the underlying surprise. Man. That’s a long shot that feels real. 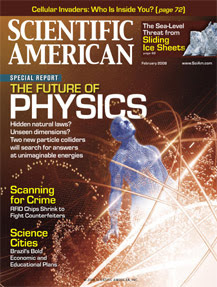 So readers might rejoice to try Scientific American this month. Flip through the first section with ads for ointments and gadgets and suddenly, around page 32, you begin reading great science articles … and articles … that go on for more than 50 pages uninterrupted by advertising. We’re not sure why the magazine would forego so much ad revenue to show off copy. Advertisers would surely pay premium rates to be positioned next to the clutch editorial. Does blocking off an entire section from ads make the other ads more readable? Do response rates go up in media if readers get a breath of fresh air before the pitches? Dunno. But man. That’s a long shot that feels real. 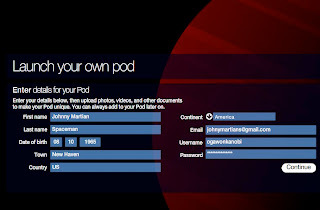 The new John Cusack film “Martian Child” attempts to go viral by encouraging consumers to post a virtual Time Pod of their family photos, profiles, and messages to share with the current community of users and … potentially the future. The site falls down a bit in lack of content, and gives the uneasy feeling that you can’t really find anything until you, too, log in. But it’s a nice attempt at going socially exponential with a film about a space kid in a box, designed to pluck the heartstrings of moms and dads.